Crestron’s Design Showroom, located in the Decorative Center Houston, is a premier destination where interior designers, lighting designers, builders, technology professionals, architects and clients can experience Crestron technology elegantly blended into a luxury lifestyle residential setting. An experiential environment such as this requires balanced, tunable lighting throughout, and Crestron chose LumaStream low-voltage LED lighting for this application. 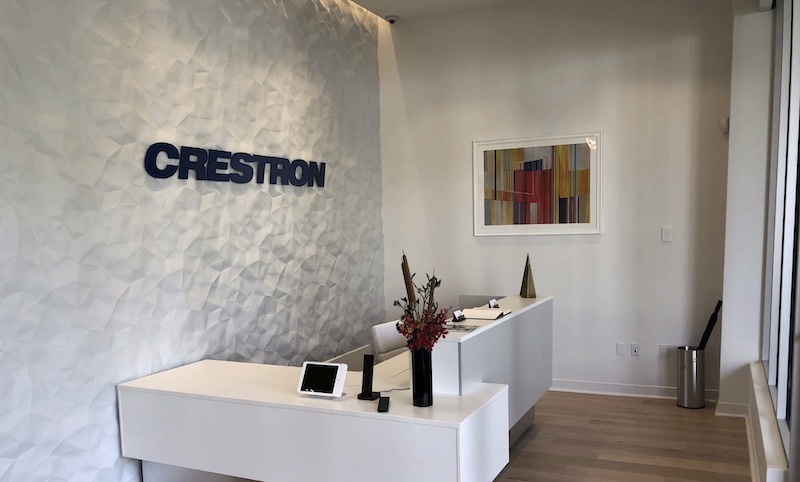 Crestron selected Relative Home Systems for integration services when planning their Houston area Design Showroom, and when they informed CEO Wayne Getschman that Crestron had decided on a LumaStream lighting solution, his team was excited to work with the company and its products. “We had been keeping an eye on the low-voltage lighting industry and related opportunities for AV integrators, with keen interest in LumaStream as they gained visibility in our market,” explained Relative Home Systems CEO Wayne Getschman. LumaStream offers an open-source control protocol for compatibility with smart ecosystems such as Crestron. 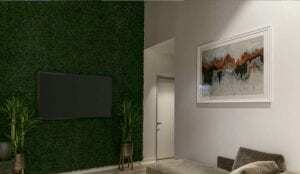 One of Crestron’s objectives with this project was to show off the lighting system, so Relative Home Systems located LumaStream’s remote power supplies, typically hidden from view, on a wall visible to consumers so they could better understand this new technology, Getschman noted. The remote power supplies are the heart of LumaStream’s unique digital power conversion platform that has influenced the low-voltage lighting industry, providing audio/video integrators with a premium solution that they can install oftentimes without the need for a licensed electrician. LumaStream offers an open-source control protocol for compatibility with smart ecosystems such as Crestron, as well as energy efficiency and smooth, dimming to less than one percent. Getschman noted that the Crestron Design Showroom project was his first opportunity working with a low-voltage lighting system using remote power supplies. The Crestron Design Showroom utilizes an array of LumaStream downlights, each individually addressable, and eight power supplies. The system enables the flexibility to adjust beam angles, color temperature, and CRI (Color Rendering Index), giving designers, architects, or homeowners the luxury of being able to rearrange any room and adjust scene programming accordingly. “Our ability to control each fixture individually using a touch screen and/or an iPad really creates a wow factor for consumers experiencing this technology,” said Kifton Vanemon, Crestron Design Showroom manager in Houston. LumaStream has made a positive impression on the Relative Home Systems team, as well. “Everyone at Crestron with thrilled with the outcome in the Design Showroom. I can’t wait to bring LumaStream into more projects for our clients, and I am very excited about the future of low-voltage LED lighting as an important opportunity for AV integrators,” Getschman concluded.